Long-bearded face, deep eyes, and a strong voice pitched person who was a scholar, philosopher, rebellious enlightened, thinker and broken the thousands of the social myth. He was a rich of the great analytical mind and the logical thought. There are more than 650 Osho Books available on the based-on trance script of his speech and he has never changed or altered his speech on any subject. Indeed, he is not alive today, but I have never seen or listened to such person on the earth who is so true and logical. This man is Chandra Mohan Jain. Also known by Acharya Rajnish but popularly people used to say OSHO. (i) Love is a prayer. (ii) Life is now and here. (iii) Die every moment to find as new in yourself. (iv) The truth lies in you, do not go anywhere to find. (v) You should not obey others command unless its belong to you. (vi) Life is itself, god, there is no separate instance of God in the universe. Chandra Mohan Jain alias Osho was born in Madhya Pradesh, India on 11th December 1931. He was the eldest son of Babulal Jain and Saraswati Jain. His parent was a cloth merchant and they are a follower of Jainism. He grew up at maternal grandparent until 7 years and then he returned his parent. Since childhood he was rebellious, but he was a bright student at the school. At age of twenty years, he got admission at Hitkarini College, but he had been transferred to DNJ College, Jabalpur because of a dispute with the professor on subjective content. Again, he was expelled from class and barred to attend classes except for the examination. He started work in a newspaper in Jabalpur as part-time and attending public speaking platform where he narrated the speech. Now people have started showing interest in his speech because of his logical thought and his way of philosophy. He did an MA in philosophy with high marks. Post education he started work at the college as the professor, but he was expelled from his job due to his controversial speech. Now he moved to Mumbai and he presented Dynamic Meditation in 1970 and in the same year he introduced his first disciples. He was banned from many countries to enter. Even his own country’s people were against him due to his bad image was created by media house on some controversy topic said by Osho. He was also expelled from US government and put him behind a bar for many days. He came back from the USA to India and settled in Pune ashram and started his work here in Osho International Foundation till his death in 1990. 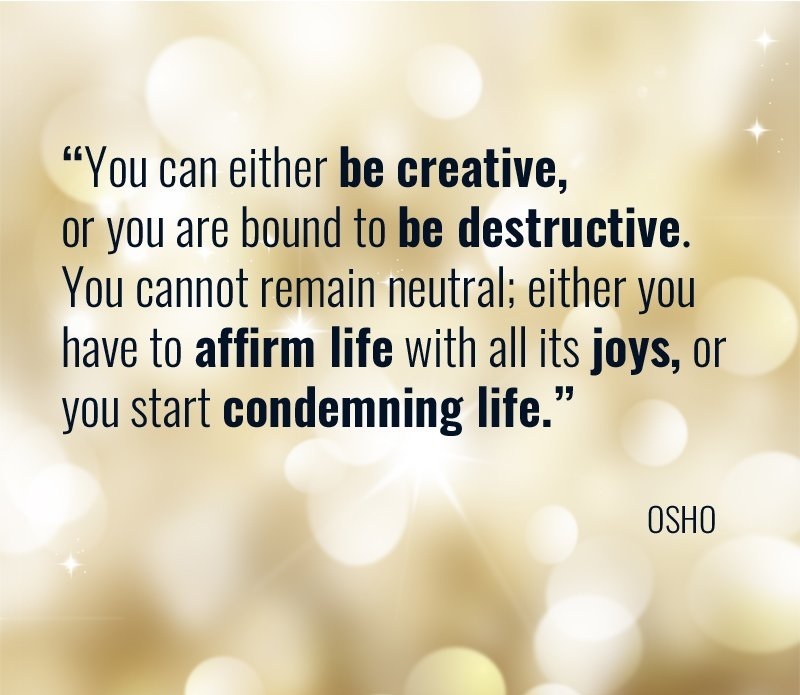 Just a few days back Osho documentary Netflix was shown on online tv which based on OSHO Life Quotes and Osho active meditation techniques. This was 5 or 6 series episode program was created by Netflix. The documentary name is Wild Wild Country. Friends, we read above the Osho Quotes, Thoughts and Osho Life Story. It’s inspiring and logically but the meaning is very thoughtful. Please give your comment about his quotes and tell us how these are inspiring you. Related Topics:Best Osho QuotesOsho Active Meditation TechniquesOsho BiographyOsho BooksOsho Kundalini MeditationOsho Quotes on LifeOsho Quotes on LoveOsho Quotes on MeditationOsho ThoughtsWho is osho?